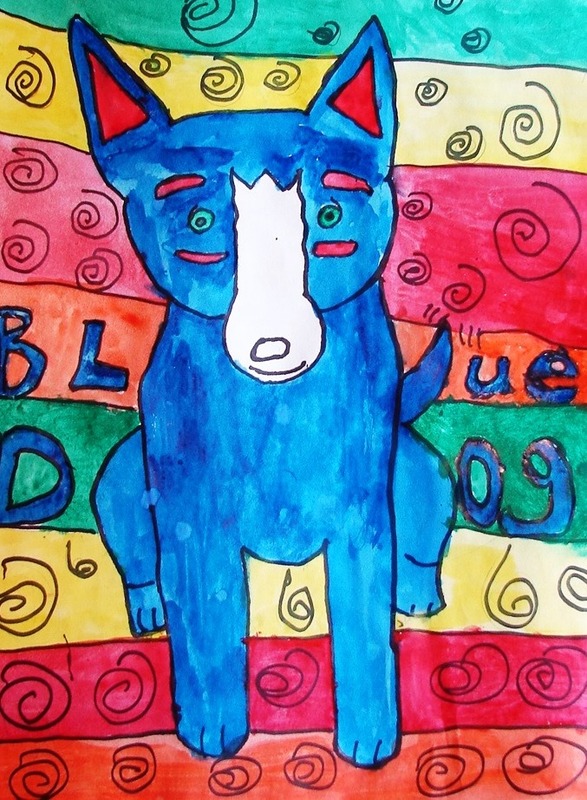 If you don’t know Blue Dog, you should meet him, as my 5th grade artists did this past month. 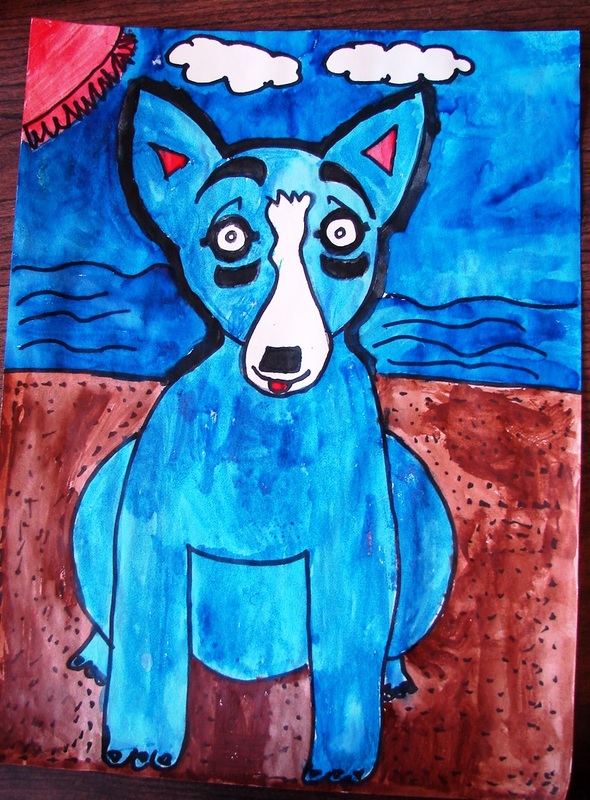 He is the creation of artist, George Rodrigue, native to New Iberia, Louisiana. Rodrigue is most famous for Blue Dog, but began his career painting the mossy landscapes and vibrant people of his hometown. Crawfish boils, garlic aioli dinners and peppery Zydeco dance scenes were his subjects. 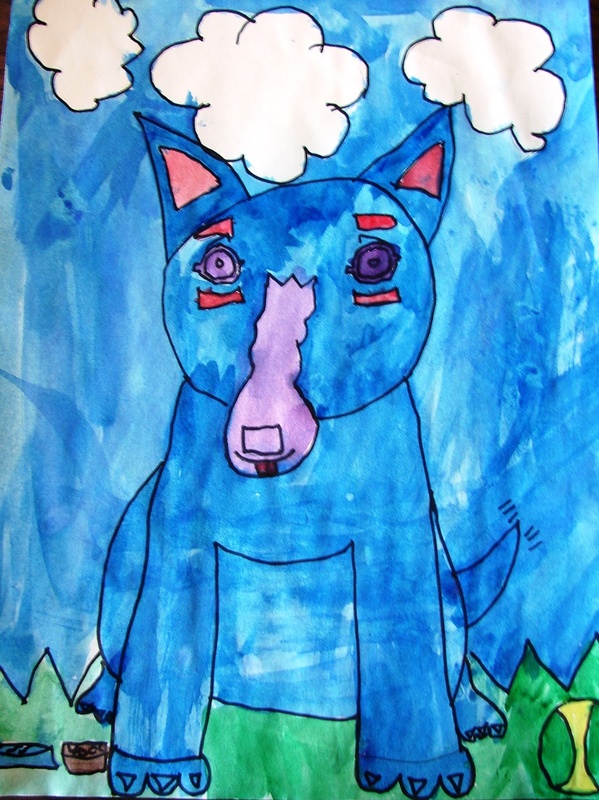 But then the Blue Dog, based on a Cajun folk tale of a mythical, were-wolf dog, became famous and the focus of many of his works. 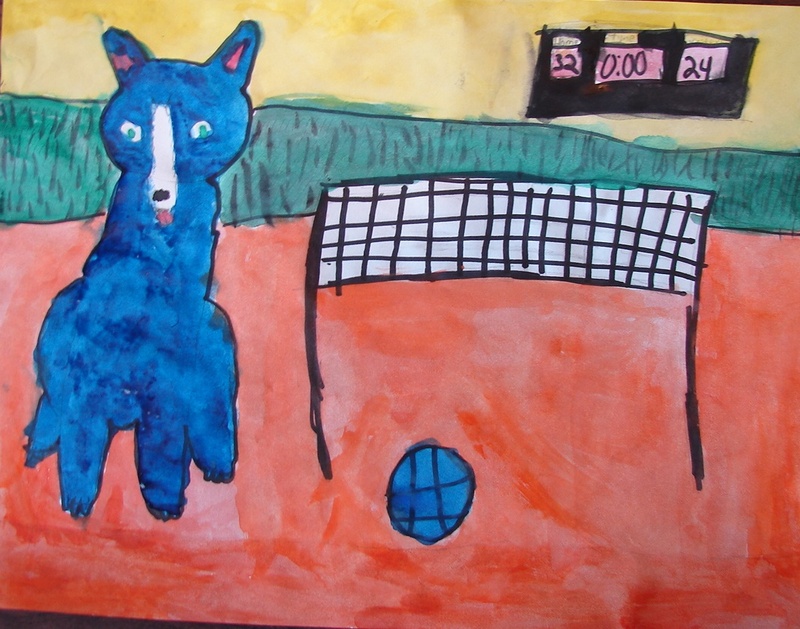 Rather than see Blue Dogs’ popularity as a limitation (like a singer who is asked to perform the same hit song over and over), Rodrigue used the image as an exploration. 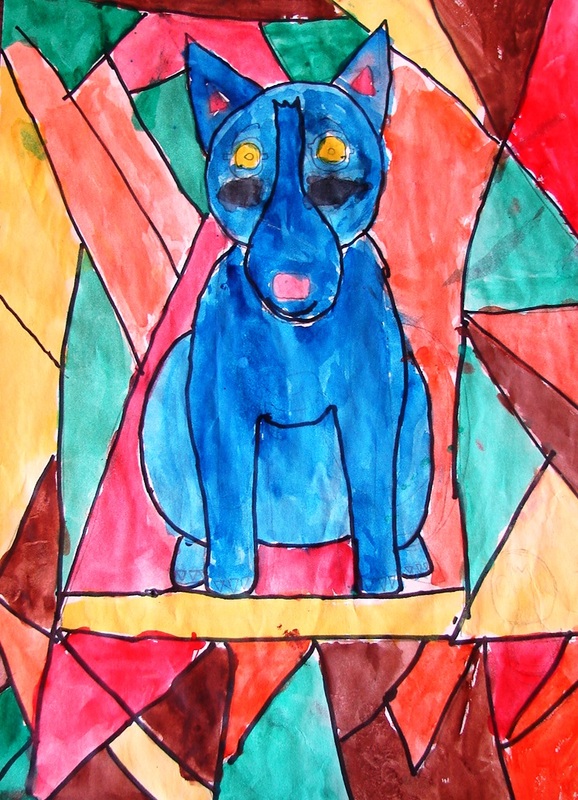 He asked children to explore color and friendship in his book, Are You Blue Dog’s Friend? 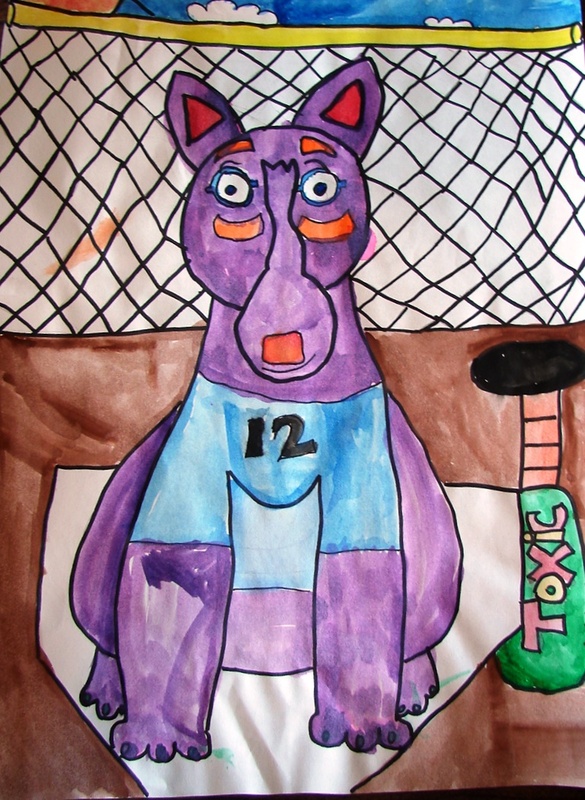 He used the image to raise money for victims of 9/11 and Hurricane Katrina. 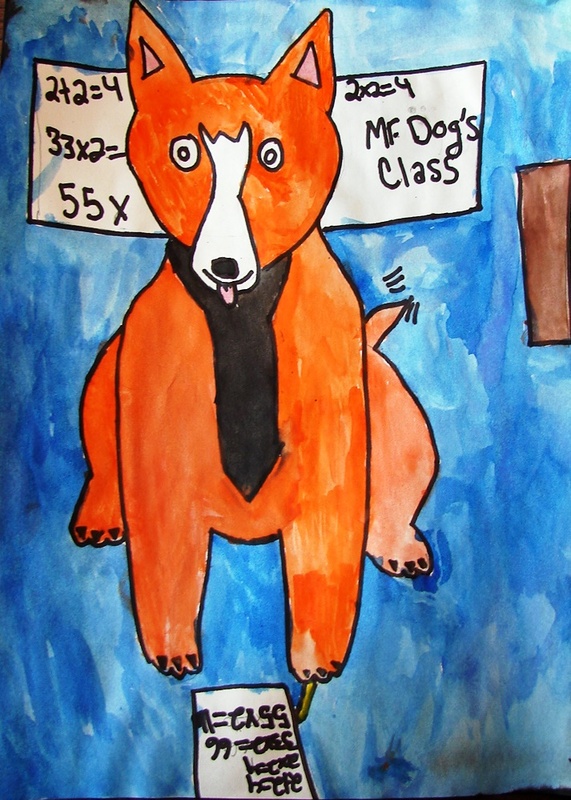 That’s one of the messages I wanted my students to hear when we studied George Rodrigue. That not only can you create your art and have commercial success, but you can lend your talent to good causes. 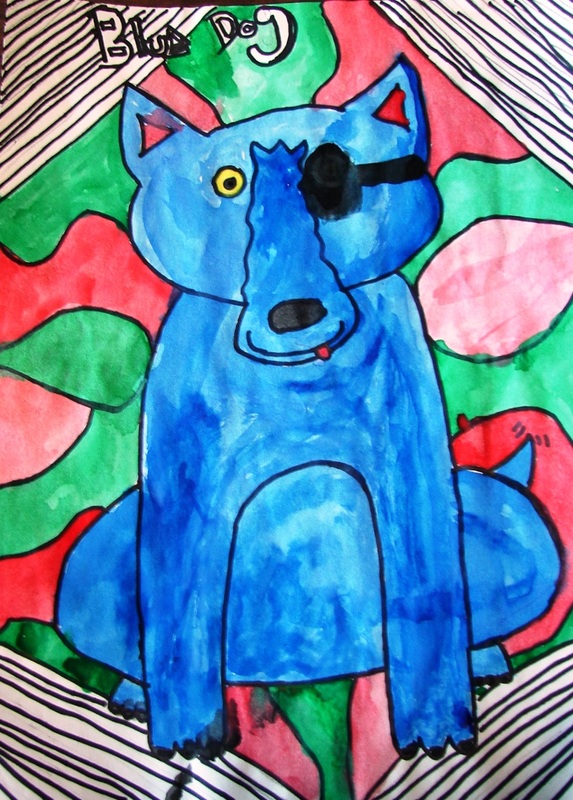 While we lost George Rodrigue in 2013, his art lives on. 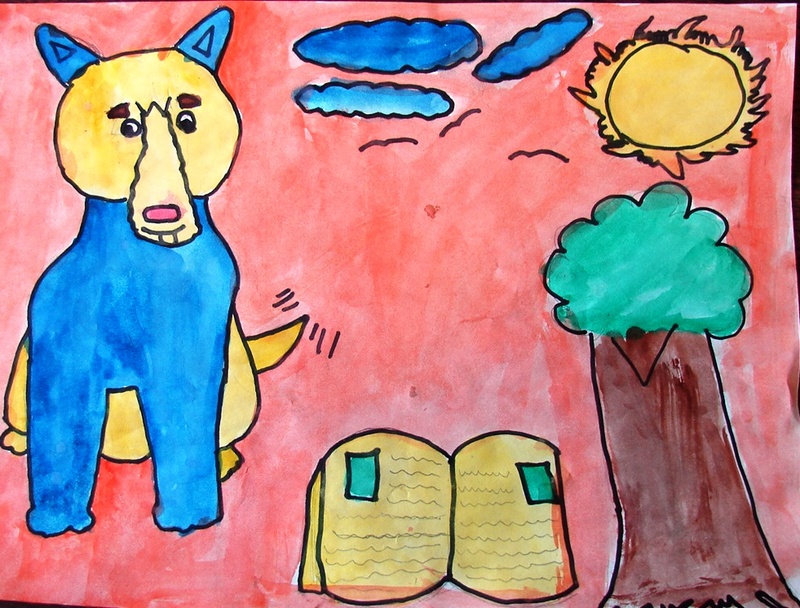 An exhibit of his paintings (including some of the Blue Dog works) will be in Houston April 25th through July 5th. 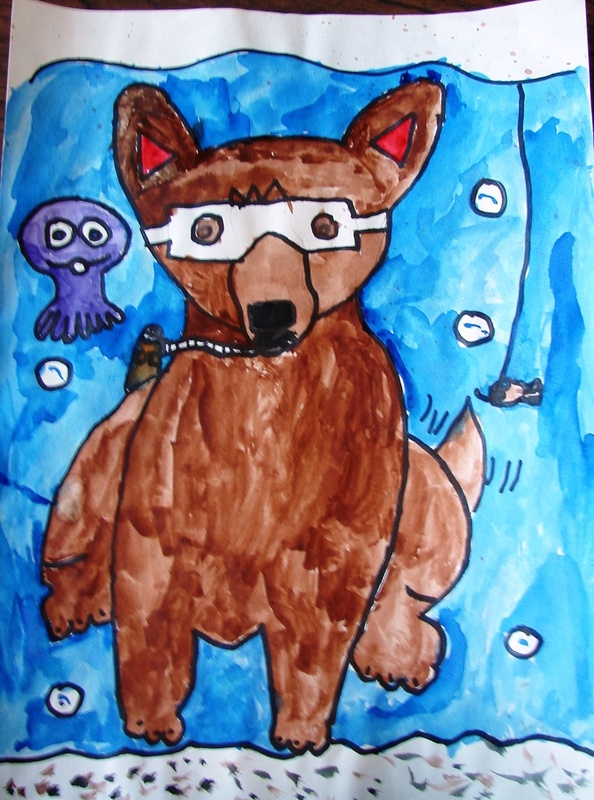 We began by reading Are You Blue Dog’s Friend? (a little young for 5th grade word-wise, but they love the illustrations) and studying the illustrations in the book. 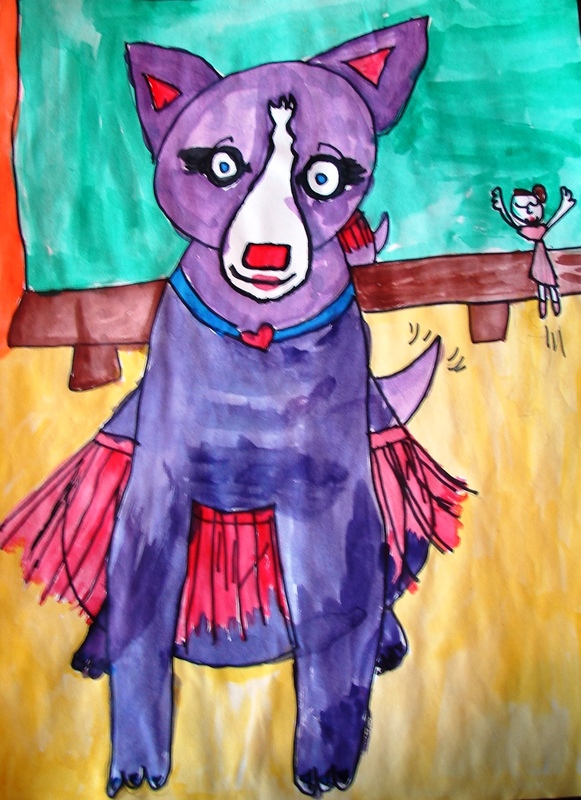 We outlined the pencil drawing in sharpie and used watercolor to complete the composition. 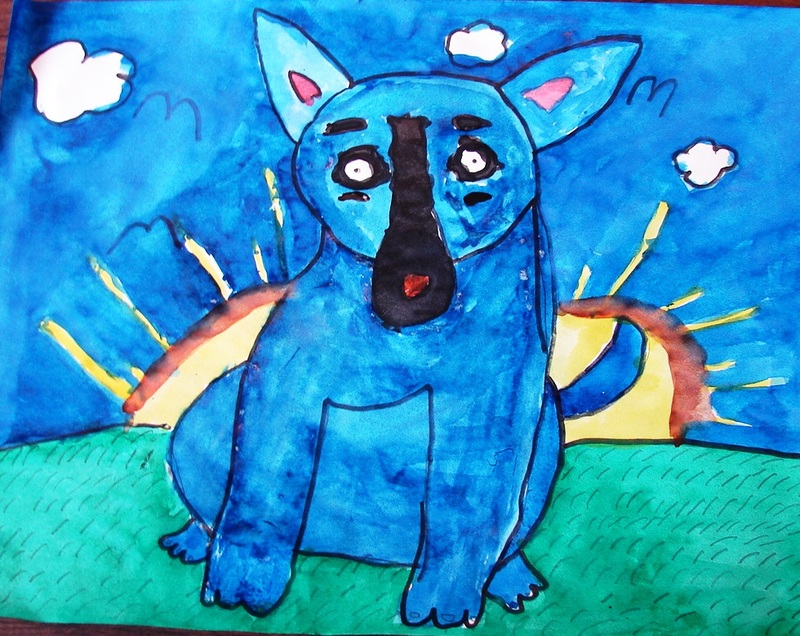 I gave my students freedom to place Blue Dog in any colors and setting of their choice. 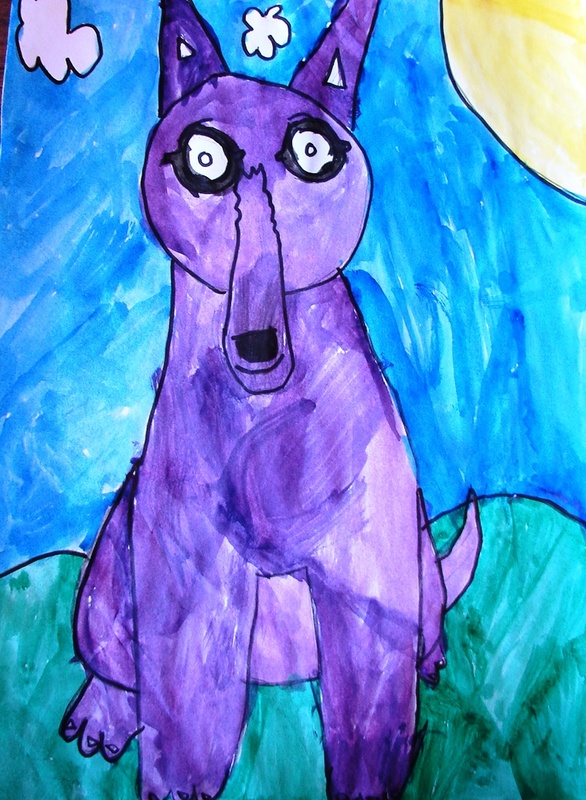 When you combine a child’s natural love of dogs with imagination and color, you never know where it will take you.